Is your aircon system on its last legs? Are you after a new aircon system? Contact the JC Air Conditioning Installation team located in Sydney for everything AC related. Whether you are after a service, replacement, maintenance or a brand new top of the line Air Conditioner, you have come to the right place! We commit to answering every service & maintenance call no matter the priority, with the same level of urgency as we know an AC problem in Marrickville NSW can mean a day or possibly weeks of pain and inconvenience. We are a local company providing air conditioning services in Marrickville and surrounding areas. Our services include installation, repair, and maintenance and you can count on us to deliver no matter what is asked of us. Whether you are looking for Marrickville airconditioning installation services or need help to repair your ducted air conditioning system, we are the right company to call. We have in the business for years and we always put our customers first. Your problems are our number one priority and we won't stop until we find a solution! Wall hung splits are the perfect option for those wanting the comfort of aircon in a certain area of the house or if you are sticking to a budget. Also a fantastic option for apartment’s located in Marrickville where ducted air conditioning may not be an option. The Samsung range offers a range of highly efficient systems with the highest energy efficient ratings in the industry. The JCIAR team love this about Samsung as the savings are passed onto you in energy costs over the lifetime of the install. 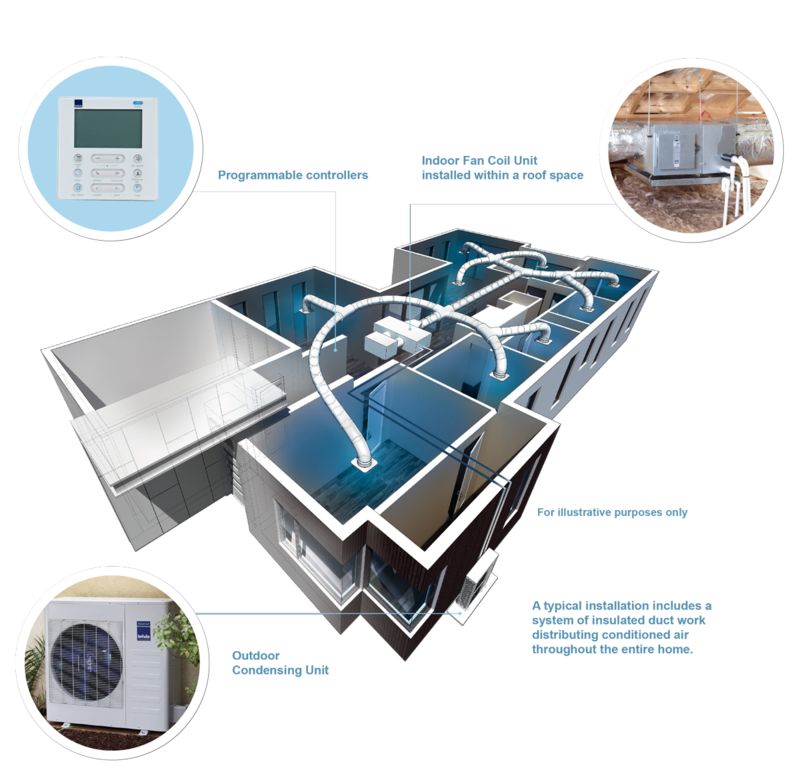 We strive on bringing the best air conditioning systems and solutions to Marrickville. As our long history states, we have demonstrated our commitments to the community providing these top of the line systems and Fujitsu helps us achieve that goal. If you wish to find out more about Randwick Learn More about the local area we service. Take a look at our client reviews to see what your neighbors are saying about our work, and decide for yourself if we are the right Air Conditioning company for your needs. Click Here to view the other suburbs we service.